I was lucky enough to purchase this big bunch of old hand written and typed letters recently. 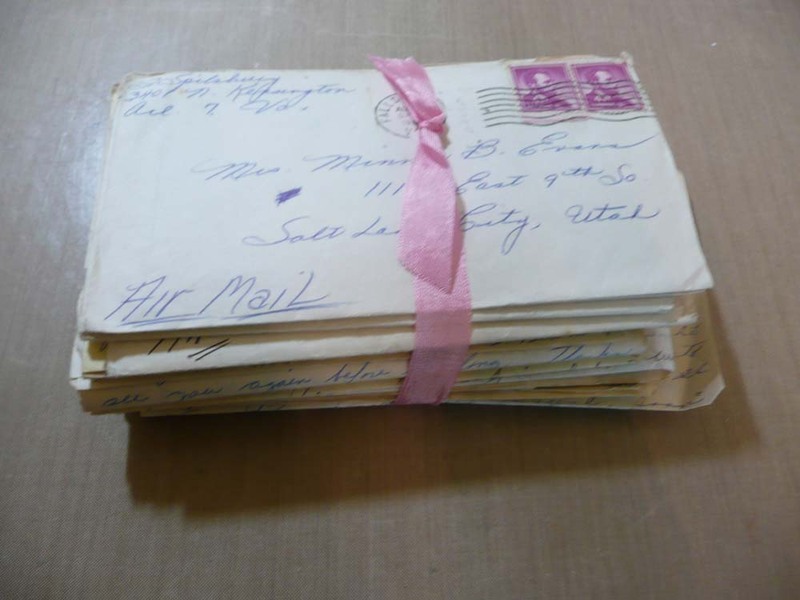 Big bunch of old hand written and typed letters. I really had no idea what I was going to do with them. 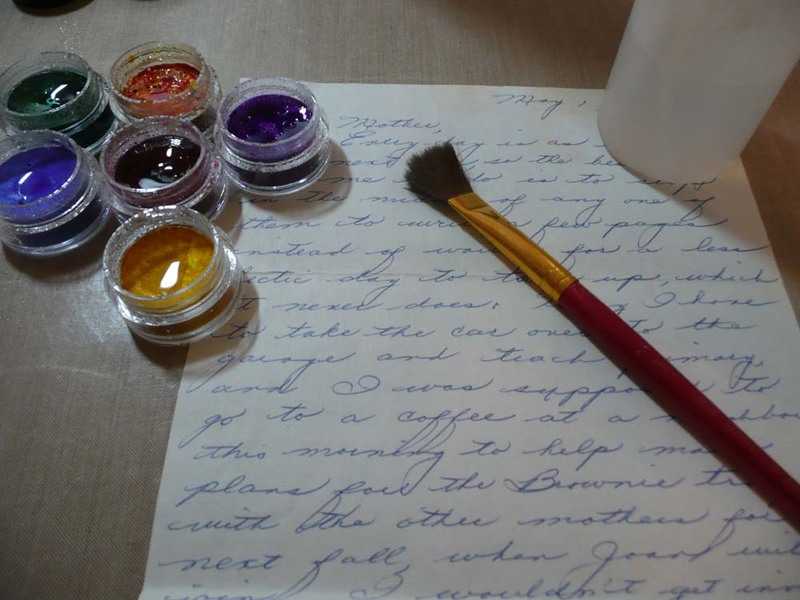 I looked around my craft desk and my Twinkling H2o’s (shimmering watercolor paints) were still at hand so they were the medium of choice. Twinkling H2o’s ready to be used. So I just sat down and made a big mess with lots of paint and water. It was really quite fun. 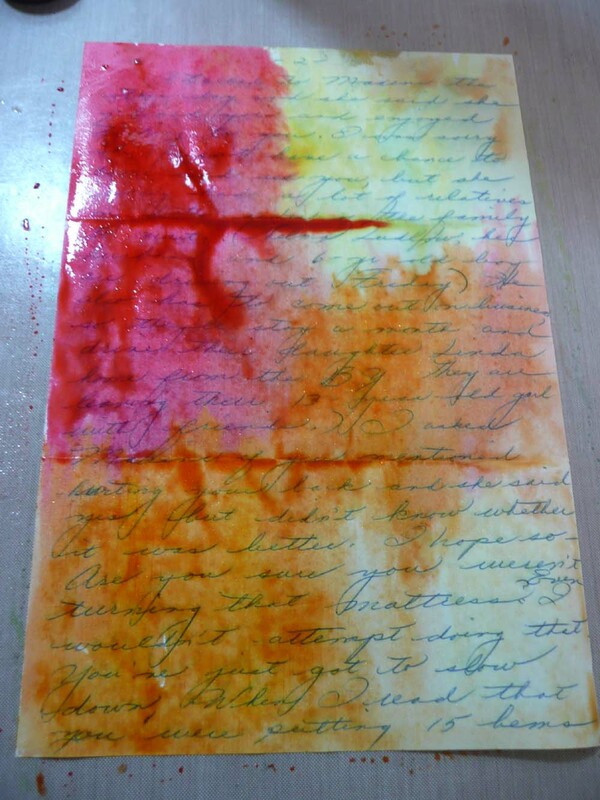 Water color paints on an old letter. I used every color of H2o’s I had in different combinations. After playing and letting the letters dry, this is what I had. 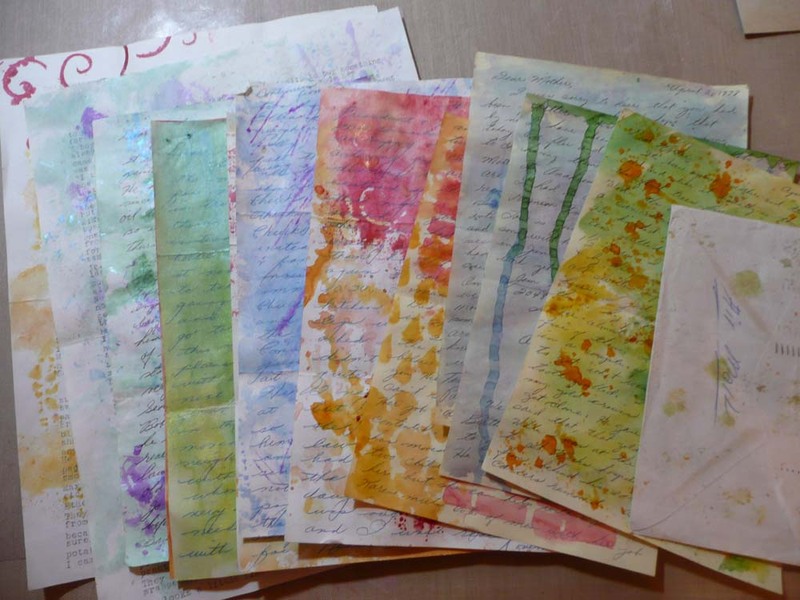 Yummy pile of shimmery water colored papers. But now what? I knew I could tear some of the papers up to use in mixed media pieces or my art journal but I had another idea. 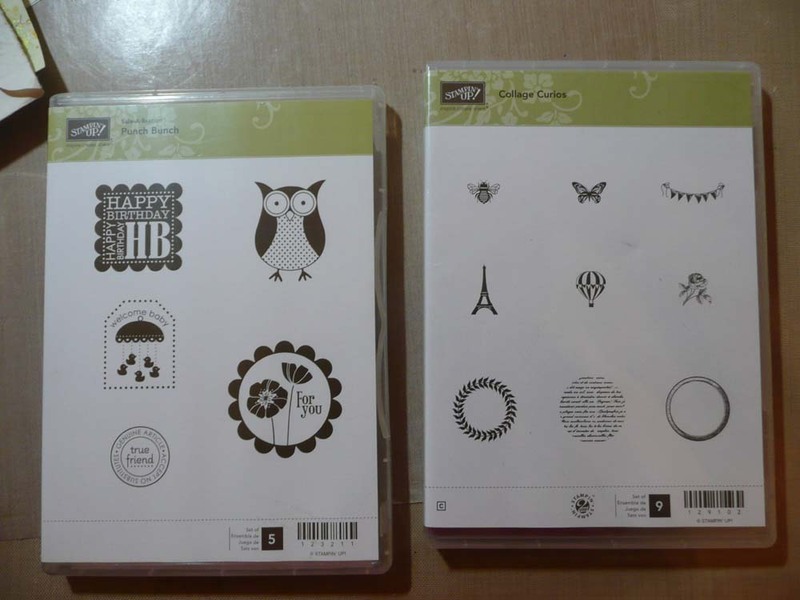 Little Stampin Up stamp sets I got for my birthday. 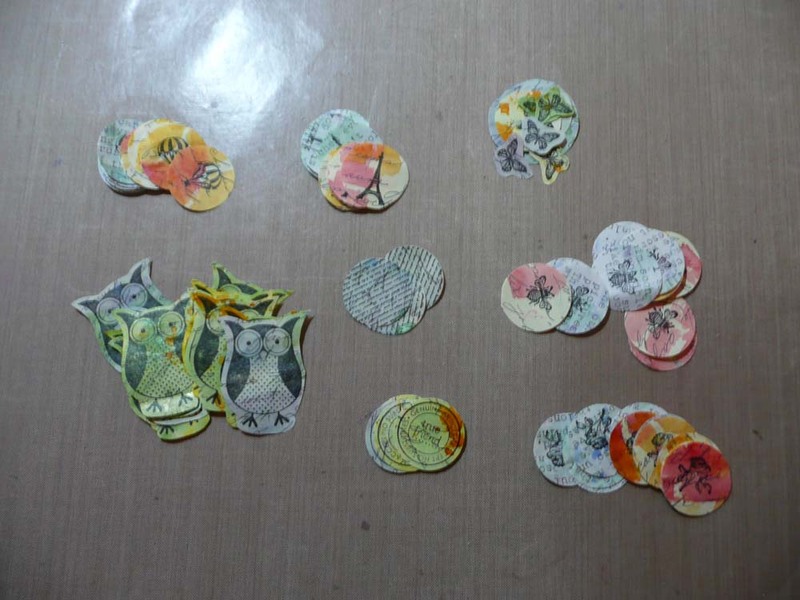 These fun little stamps were also still on my craft desk so I decided to use them on some of the paper and make a bunch of small embellishments. Little embellishments to use in mixed media or my art journal. I think they turned out really cute and they have an awesome crackling paper texture. Now I am ready to made an art journal page using some of these cute little embellishments that were made from just messing around!